Spanning the full flavour spectrum from light salmon sashimi to hearty, braised pork belly ramen, it's no surprise Japanese food is the go-to cuisine for much of Sydney's discerning foodies. We've compiled a list of the best on offer in two glorious parts because there are just too many to compile into one article! From gyoza specialty joints to some of the most innovative ramen and sushi bars around, here are the best Japanese restaurants in Sydney (part 1). Sake's interiors reflect its approach to food – contemporary with generous references to tradition. From an extensive sashimi menu to confit wagyu beef and croquettes, not to mention sashimi tacos and crumbed pork belly, Sake's innovative approach to the mainstays of Japanese cuisine can only leave your tastebuds craving more. Any voracious ramen eater can testify to the miraculous properties of steaming noodles swimming in broth. Ippudo's homemeade tonkotsu broth is liquid gold, brewing pork bones for hours until the stock is infused with everything good about pork. Countless variations are available, from noodle firmness or spiciness tailored to your liking, to extra pork belly or a perfectly cooked onsen tamago (a slow cooked egg) to top things off. For those seeking something a little meatier, dive into Ippudo's famous pork belly buns – they're some of the best in the city. LL Wine & Dine marries cuisine from China, Japan and Korea for a menu of Asian fusion that ticks all the right boxes. Start off with a few light dishes of prawn and scallop dumplings in XO sauce, ginger mayo and pork belly buns and wasabi king salmon sashimi in garlic sauce. Move onto almond crusted prawns, and wok fried beef fillet for your main. Over the weekend, indulge in the special yum cha menu. The teikoshu set meal format of Yayoi means perfectly curated side dishes to complement a bowl of steamed rice. If you've ever spent a minute (or ten) too long deliberating over dish selections, the flavor equilibrium of Yayoi's meal sets takes the guesswork out of ordering. The decadent wagyu sukiyaki marries tender slices of hot pot wagyu with slow-cooked egg, miso soup and udon noodles. The seafood-inclined may opt for the salmon teriyaki, with a generous salmon steak, deep-fried tofu in broth and savoury custard. Of course, there's the Yayoi gozen for those seeking diversity, with every iconic flavor at Yayoi presented in one meal set. A veritable dumpling nirvana, Harajuku Gyoza offers pork, chicken, duck, vegetable and prawn dumplings, either poached or fried to your liking. Diversify with some fried chicken karaage, pork belly and agedashi tofu side dishes. 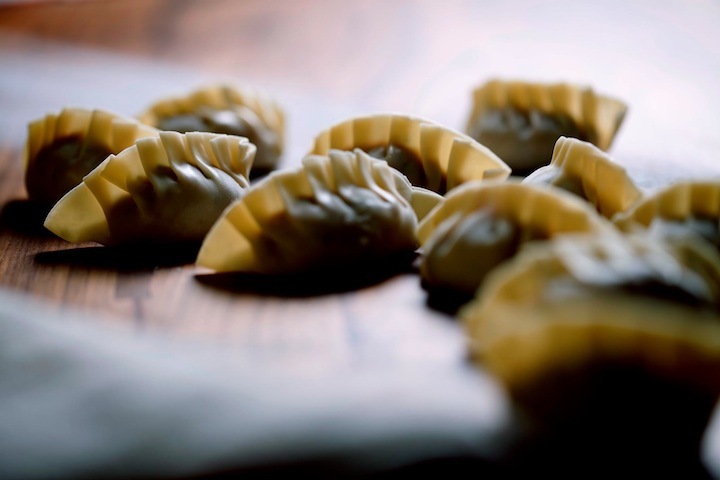 For the really intrepid gourmands, save some room for apple or banana and Nutella dessert gyoza. Head up the escalators of the Prince Centre (aka the mini mall that's stuck in time) and you will find one of Sydney's most authentic izakayas. Here you can eat and drink the week away with typical Japanese bar food and drinks (we love the agedashi tofu and seared salmon nigiri). From only $2.80 a plate, you can get yourself a fantastic feed without blowing your pay cheque. Located on the quiet side of Surry Hills, Ume's intimate atmosphere is the perfect setting for a small but impeccable selection of dishes. Select from options like seared Hokkaido scallops and caramelised butter, kingfish sashimi with ponzo, yuzu and sesame, tender soy-braised pork belly. Vegetarians are catered to at Ume, with shiitake mushrooms, pumpkin and roast carrot dishes on offer. Crown Street's iconic Japanese joint has a menu that caters to all preferences. Have a lunch of HUON Tasmanian salmon soba noodle soup or sashimi bibimbap. For dinner, consider the fresh yuzu carpaccio, choose from dozens of nigiri, or indulge in the tajima wagyu steak. Kyu:B's sleek, modern interiors set the perfect ambience for home-style Japanese. Former head chef at bill's Mika Kazato has teamed up with chef and co-owner Lane Finlayson to create a hearty menu of cured beef and grilled prawns best enjoyed as a series of small dishes over a few drinks.